10 of 13 Manitoba stores have been visited in person. Appears to have back issues only, no new release comics. 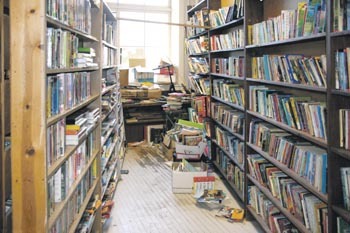 Used book store in the downtown core. Comics represent about 1/3 of the floor space on 1st floor, a good amount of comics. Stock a wide selection of modern back issues. Some higher priced Silver Age books. Stock new release comics, mostly Big 5 publishers. A well rounded shop for new stock, back issue and TPB/GN inventory, with a nice selection of smaller press books. Used book store in the south end of city. Comics represent about 1/3 of the floor space, a good amount of comics. Stock a wide selection of modern back issues. Some higher priced Silver Age books. Stock new release comics, mostly Big 5 publishers. a nice, clean, family friendly store with the most helpful and friendly staff in the city. A nice selection of new release comics and TPB/GN’s. They stock the 2nd most manga in the city. They do a lot of business in MTG and CCG’s/figure gaming. new shop, opened November 2011. Goal is to be the back issue store in Winnipeg. Huge inventory of Back issues, approx 500 boxes in the shop, but only 75-100 are available for bin diving right now. New releases available. Small selection of TPB’s. Very small quantity of comics. Carry some Big 2 new releases. This is a store with a selection of board games, CCG’s, figure games and action figures. New release comics. recent back issues. small selection of TPB’s. Used book store in the downtown core. Comics represent about 1/5 of the floor space on 1st floor. They have comics on the 2nd floor, but only available 1st Saturday of the month. Stock a wide selection of modern back issues. Some used TPB inventory. Comics America, the venerable to some and maligned to others, closed March 31, 2016. Raven’s Toys has closed and rebranded as the newly opened Cobra Collectibles. Comic World — this retailer was located in a weekend flea market at 98/100 Mandalay Drive. This flea market is now closed. Great Escape Entertainment — The listed phone number was not correct, I am assuming this business is closed. Gamers Lair Outpost — Telephone number not in service, I am assuming this business is closed. Pristine Comics & Collectibles — Telephone number not in service, I am assuming this business is closed. Reality Impaired — Telephone number goes to a fax machine. Nothing found about shop via internet search. I am assuming this business is closed. Upper Deck Sportscards — No answer. Nothing found about shop via internet search. I am assuming this business is closed. Zeppelin Comics — Telephone number not in service, I am assuming this business is closed. Ziggy’s Comics — Old telephone number not in service. New telephone number rings busy for 10 calls placed over 3 days. Website/Facebook page not updated since March 2008. Listed Email bounces back. I’m calling this shop ‘closed’. 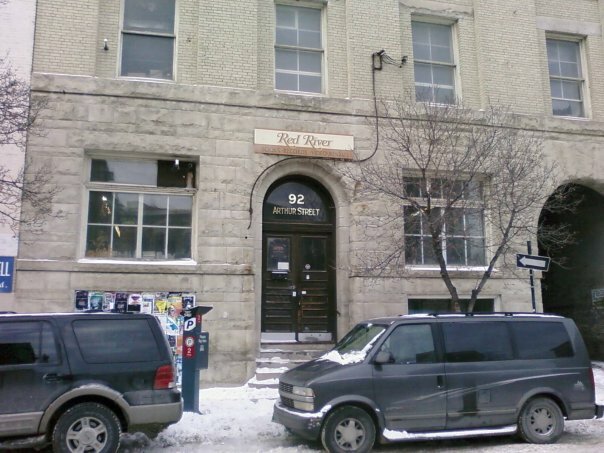 Raven Comics is a leader in the city, providing the necessary drive to promote artists and conventions here in Winnipeg. Support them, it’s worth it. I also like Maxx Collectibles, mainly as it’s on my way home from work but the staff is really friendly, it’s not overcrowded (like many other typical comic shops) and feels like a retail store versus someone’s basement. Comics America on Academy is another good one, with an incredibly huge inventory of toys and such. BUT with narrow aisles, stock to the ceiling, stock hanging from the ceiling, and poor lighting, it’s a little scary to go through. They really need a place twice the size of what they have but they support local artists and will have what you’re looking for. -Comic world has moved to Thirsty’s flea market @ 1111 Ellice Ave.
-Reality impared closed aprox 10 years ago. Great little comic shop in the front of a house on corydon. Thank you for the information. Flea Markets don’t qualify as retail outlets, so we won’t be formally adding this to the listing, but people can read your comment.